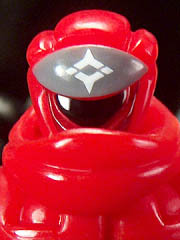 Sidekick figures are more or less commonplace in the Glyos universe, as each series focuses on a new color of plastic and runs a number of new and existing figures in that color. Once in a while you get a cool crossover too, which means a figure like Obritron Diversus [FOTD #1,492] can get a little companion like Crayboth Diversus. Decorated vaguely like the Metaluna Mutant from This Island Earth. 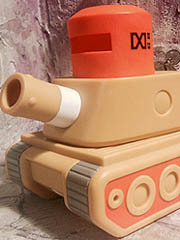 Due to the painted figures being developed apart from Onell Design, rarely is there a match - but we've got one now!